Celebrated in Asia for more than 1,000 years, the 28th Annual Autumn Moon Festival will be held in Chinatown over two days, filled with arts and crafts booths, cultural exhibits, children’s activities, food and multiple parades along historic Grant Avenue between California Street and Columbus Avenue. 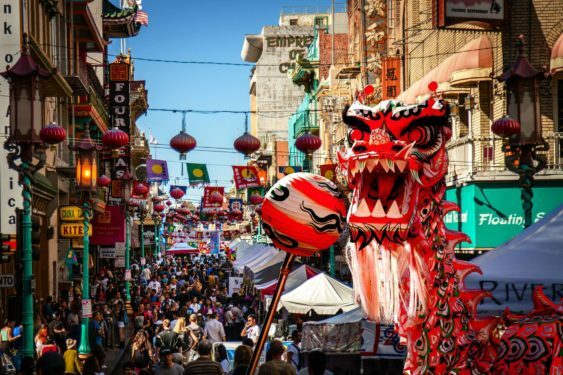 The streets of Chinatown have been a lively center of celebration for tens of thousands of people during the Autumn Moon Festival. New for 2018, don’t miss the Crazy Rich Asians Costume and Character Contest. Dress up in your favorite Crazy Rich Asians costume or your own inspired character.